Copyright Infringement – The “Activist” Defense? Like many almost-40-year olds with a perpetual college-aged sense of humor, I enjoy Seth Rogen’s slacker/stoner humor. When I found out that the stars of personal-favorite Pineapple Express were reuniting for The Interview, I was excited to go see it (or at least wait until it hit my local Redbox). However, as we all know, North Korea (allegedly) hacked into Sony’s servers and released embarrassing and confidential documents, thus setting off an international debacle worthy of, well, another Rogen/Franco movie. 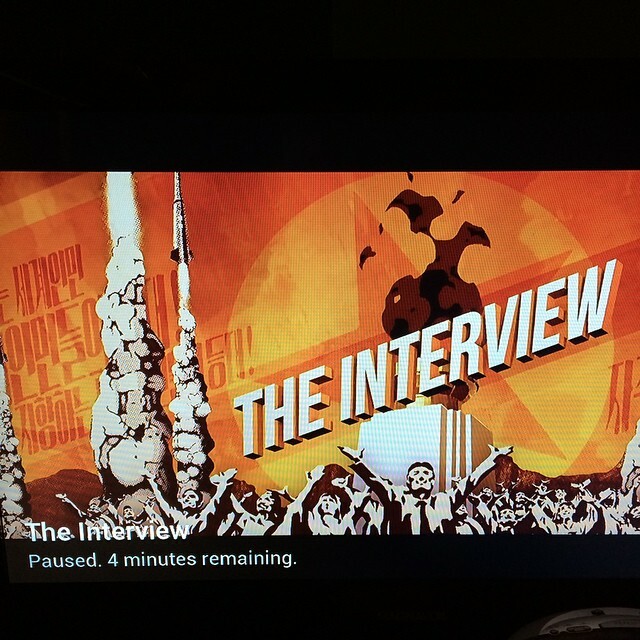 Depending on whom you believe, the hackers’ warnings initially caused Sony to drop the film’s release, only to have the President of the United States dictator-shame Sony into eventually allowing the movie to be release both on theater screens and via streaming services such as YouTube and Google Play. The sequel has literally written itself. Many others must have liked it (or at least bought into the civic-dutiness of it) as well, because by the end of December, the movie had reportedly brought in $15 million dollars from streaming alone. That has prompted interesting case studies on how the (alleged) North Korean hack may have changed movie distribution forever. See: http://www.newyorker.com/business/currency/interview-film-industry-case-study. So that brings me to the point of this post. I am being facetious regarding the movie’s value as a real statement on North Korea and dictators in general. This is not a Michael Moore documentary. It’s not Morgan Spurlock. This isn’t going to be shown (or read) in classrooms like To Kill a Mockingbird. It’s a Seth Rogen stoner flick cut from the Trey Parker/Matt Stone Team America:World Police cloth. Does it have some message about a free press and the con of a dictatorship? Yes. But is it worthy of making 100,000 copies on DVD and USB drives to airdrop into North Korea? No. Yet that is what the Human Rights Foundation proposes to do. This group has apparently been doing this for years with other literature and movies, including the aforementioned Team America, Titanic and Braveheart. See: https://www.indiegogo.com/projects/hack-them-back. It is not clear from that group’s webpage if the money is used to legally purchase the movies that are dropped (along with DVD players) into North Korea, but the AP article states that the group, which is based in the U.S., is putting The Interview on DVD and USB flash drives with Korean subtitles. Here’s where the law-stuff comes in: Human Rights Foundation is therefore making a derivative work of The Interview. Unless Sony has authorized these 100,000 copies, they are likely infringing derivative works. There is no “activist” or “humanitarian” defense, and while there could be some stretched fair use arguments, this just seems like basic copyright infringement. Of course, every plaintiff must pick his/her/its battles. While Sony would be foolish to publicly denounce this seemingly well-intended act, I would not be surprised if Human Rights Foundation is contacted before the Great Balloon Release gets underway. Ultimately, the Sony hack, the unorthodox release, and the subsequent dialog that has come about have given The Interview more stature than it would have otherwise achieved had it been simply released as any other Christmas-day film, and I look forward to seeing the ongoing ripple effects.